Netball is a fast growing sport in South Africa, with many girls taking to the court to learn and develop their ball skills. However, whilst it is becoming more popular on the whole, in some of the township areas access to courts and coaches can be hard to come by. Whilst our volunteers cannot improve the quality of the courts available, they can bring a passion for the game and experience to the young girls who are keen to learn. 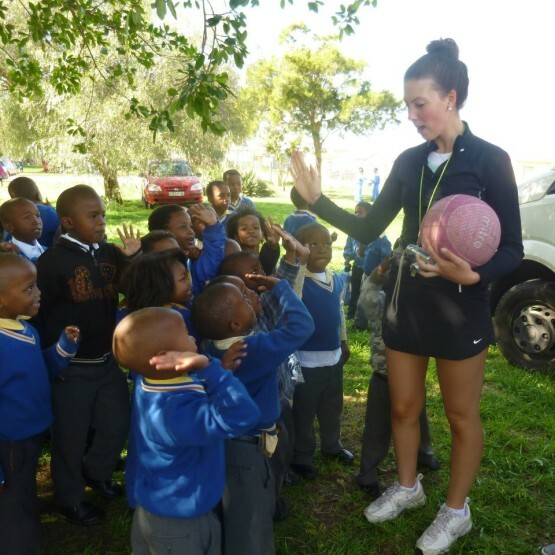 As a netball coach in South Africa, you will be out and about in the schools each day, getting the girls enthusiastic about the game and teaching them some great skills. From ball skills to drills, from passing to shooting, and finally on to the games, it is amazing what progress the girls can make over the course of the programme under your tuition. The girls love it- they are very keen to learn, and this is often the only opportunity for them to play the game with guidance. Netball coaching not only opens the girls up to this great game, it also teaches them vital life skills such as team work, co-operation, motivation and fitness. And one of the best bits: the smiles at the end of a session. Life in the townships in South Africa can be hard. Many of the kids’ parents are unable to feed their families daily, and so part of the programme helps to feed some of the kids in the schools. 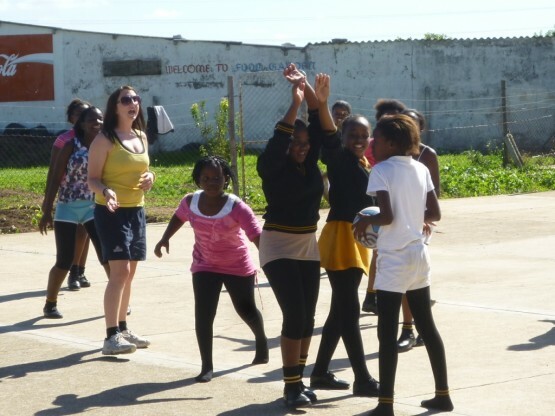 The opportunities that the netball coaching programme offers to help some kids in need are amazing. We are looking for passionate sports players- from school or university team players, to those who play weekly with a team, or just enjoy the odd game with friends. Whether you are doing this as part of your gap year, career break or some time out, passion is a must, and a love for children! You will enthusiasm and a love for the game to inspire and teach girls how to get all that they can from this sport. The programme runs from 5 – 12 weeks throughout the year in accordance with the school terms. Oyster really encourages volunteers to participate for the full12 weeks where possible. This time frame means that both you and the kids will get the most out of the programme. Oyster sends volunteers to coach a whole mix of sports in Port Elizabeth. The netball coaching is just one part of the whole programme. Netball volunteers will be living and working with the football, tennis, swimming, hockey, cricket and rugby volunteers- as well as the childcare and teaching volunteers- and you can even coach a variety of activities whilst you are there. Just let us know which your favourite sports to coach are! For more information on doing a sports gap year, get in touch with Anne [email protected] or +44 1892 770 771. I am really interested in getting on board with a programme such as yours. Please could you tell me a little bit more about the costing: how much the programme would cost for 5/6 weeks and is it paid or all voluntary?